Ok, this is my plan: Change 4 qt of trans fluid with Toyota T4. Run this for a week, drain and refill with Eneos type 4. I figure this will give the trans a soft flush like tcMich implied. Soo I never really thought much of it, as I was told a trans flush is required at 90,000 miles...and I am creeping up on that. How hard is the gasket and such to replace? I have never changed my own oil, however I am pretty understanding when it comes to mechanical stuff so I don't see myself running into any issues. That Honda ATF change was very informative. I've always thought that there was a way to pump it out, but didn't think enough. It's pretty simple. Well I plan to change the ATF and filter in my 06 Scion XB. I've done it once at 80k. Haven't done it since. I now have 185K. I didn't see any pics on it so maybe I'll pose some when I do it. One think I can say is that it can be very messy. I know better this time. So let me tell you guys that after you drain the ATF and remove the pan, be ready when removing the filter. I believe there are some bolts that hold it to the trans. 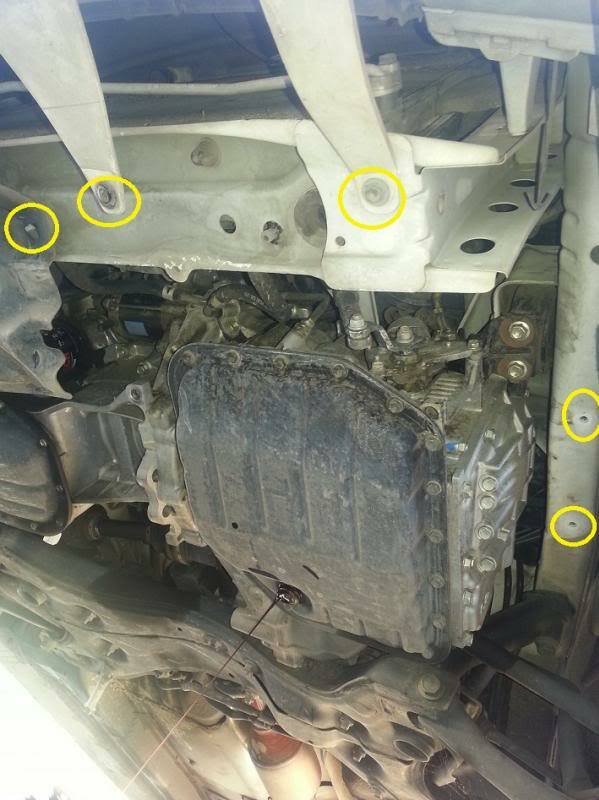 Once bolts are removed you can pull it strait down. As soon as the filter separates from the trans more ATF will spill out. That's what I wasn't ready for. I read this whole thread and I wanted to add that what I used for ATF was Valvoline Maxlife. It is full synthetic and is compliant with Toyota T-IV. Actually for many other imports including Nissan, Honda, and Mits. Transmission felt the same as the factory fluid. I did the ATF filter change. Here you can see straut up at the AT pan. You can see it requires a hex to remove the nut. This is what I like using with a ratchet. 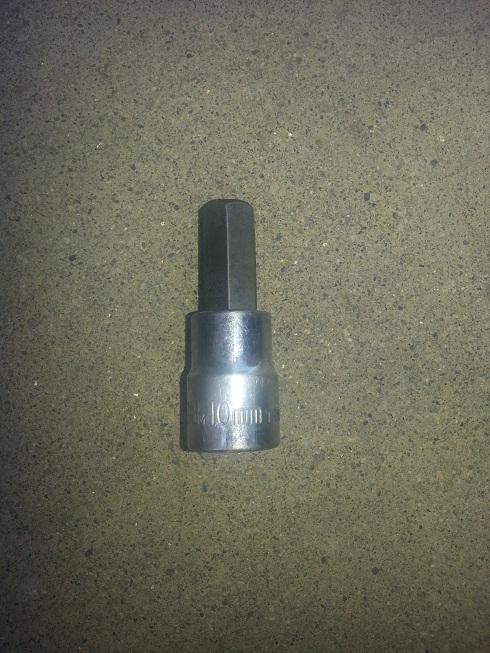 It is a 10mm hex that is required. What I wanted to show in this pic is the five locations circled in Yellow of where to take off the bottom cover. Once it is off it is so spacious. You can see everything. The bottom cover is very easy to take off too. Circled in Yellow is the pressure line. The hose goes to the connection on the radiator that is on the driver side. 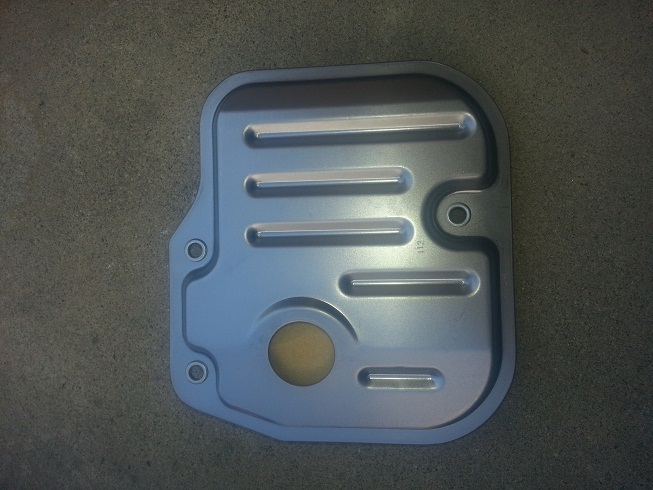 Here is the pan off with filter still on. 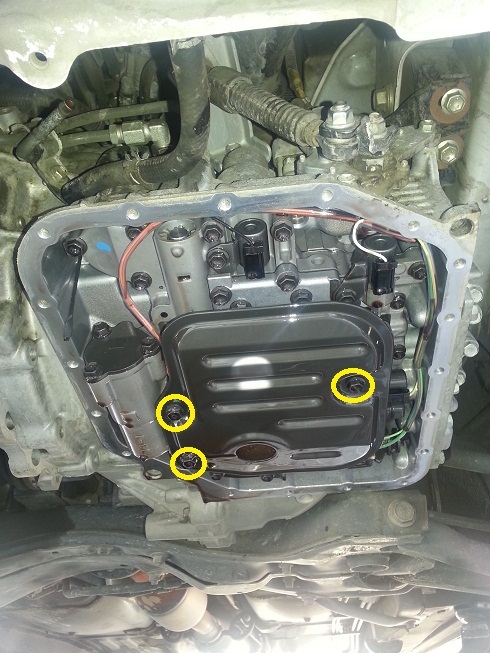 Circled in Yellow are the three bolts required to remove the filter. Here is the filter removed. 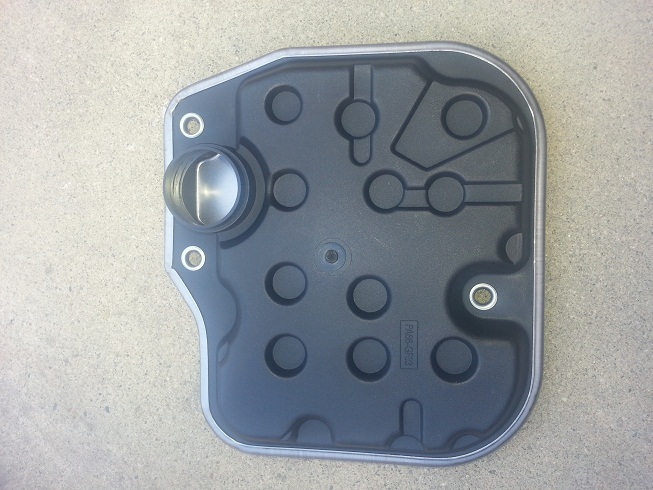 New filter should come with a rubber O-ring that seals it when inserted back into transmission. I used plastic to cover the pavement for the accidental spills. This is what happends after a ATF filter change. Not as bad as the first time I did it. I need thicker plastic next time if ever because I guess through osmosis the ATF fluid soaked through the plastic. So my pavement still go soaked. 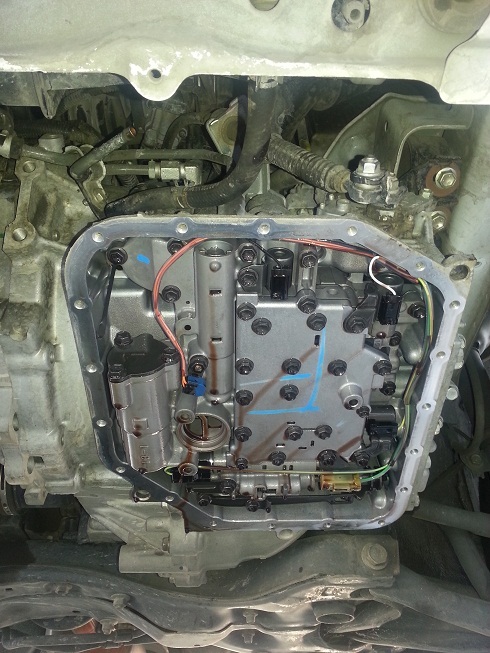 During this process I did remove the pressure line and ran the motor. I waited till the fluid went from dark to red. Afterwards I topped off the transmission. Right after I finished up I took my wife and kid out of town to my parents for Easter. I did notice that shifting was smoother. I usually notice a jerk when in first and revving up to 6k. It doesn't like that. After the ATF change the shift was smooth. Kendall makes our ATF. I received a shipping case from a Toyota dealer with the shipping label as "Kendall Oil" and their out-source warehouse in somewhere not in the Midwest. I'm about to start work soon: can't take picture of it to show you guys. 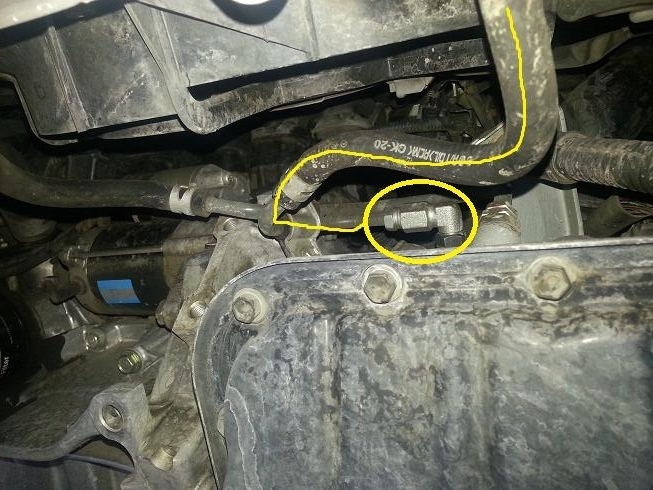 Where did you remove the pressure line - At the transmission, or at the radiator? How many total quarts of fluid did you use when you performed the "power flush" with the disconnected pressure line? 1. I removed the hose at the clamp in the picture, which should be the left one as the right one is the pressure hose. 2. I believe what I did was put everything back together, filled up the trans with new fluid, pulled off the hose, ran the motor and watched all the old fluid pump out. 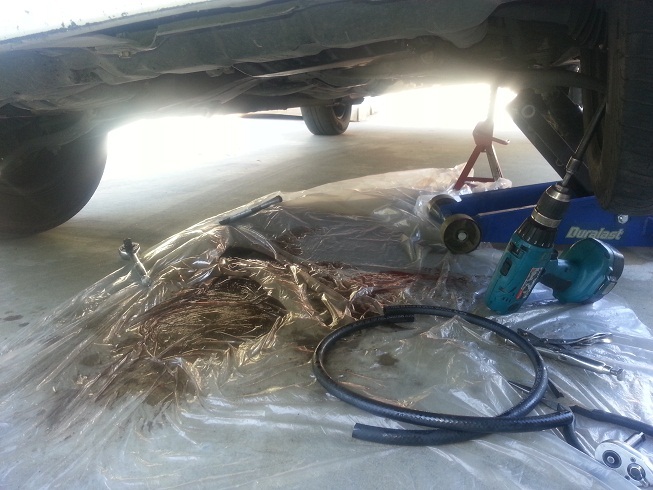 Once the new fluid starting pumping out I turned off engine and reattached the hose. Then topped off the fluid. This is good info. However, I checked my 2008 scion tc owner manual and it says that it utilizes Toyota Genuine ATF WS. Unless your manual says otherwise or is driven under special operating conditions, it is considered a lifetime fill. Just thought I'd throw that out there. 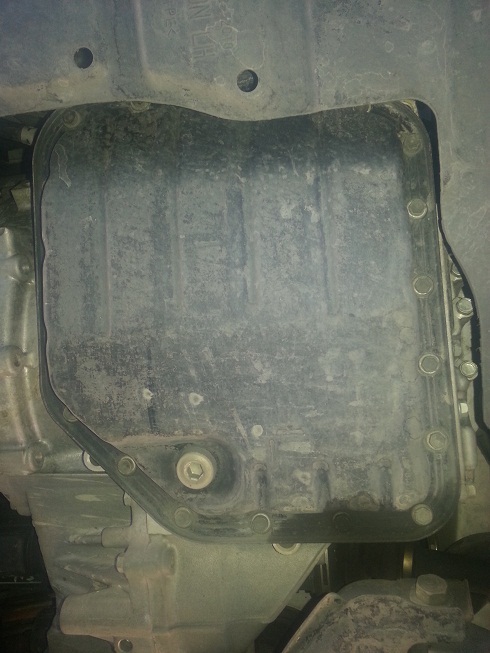 Transmission fluid 2008 scion xb.